Welcome to S.M.L. Electrical! We are a full service sign and lighting company. Providing design, survey, fabrication, installation and maintenance for all types of signs and lighting. We are also a licensed electrical contractor, capable of providing all electrical services needed. S.M.L. 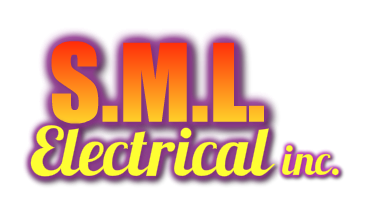 Electrical was founded by Steve and Sharon Lawrance in 1998, we founded the company on the principle of providing outstanding service at a fair price. 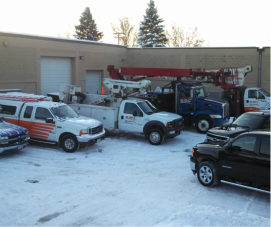 We have over 200 years of combined experience in the sign industry and are one of Minnesota's premier sign companies. S.M.L. is prepared to exceed your expectations and help your business to succeed. We are excited to work with you because it is a chance to build a real relationship with a client. Since the beginning we have prided ourselves on having these types of relationships and ensuring that they are maintained for many years to come. Even though customers have become focused on price, delivery, or a specific quality level, it is our opinion that a great relationship addresses all of these items and more. We don't see the dollar potential of an account but the relationship potential. A chance to chat with a customer about their signs and maybe their family, or their hobbies. A chance to be part of the team that helps a local small business succeed or builds a national brand, but also a team that could go play a round of golf with you and share a lunch afterwards. All we ask for is the opportunity to develop a relationship with you and your team, the rest will take care of itself. Thanks for visiting smloutdoor.com, we hope you enjoy your visit and we look forward to speaking with you soon. We are ready to meet with you today and begin to build the sign of your dreams!